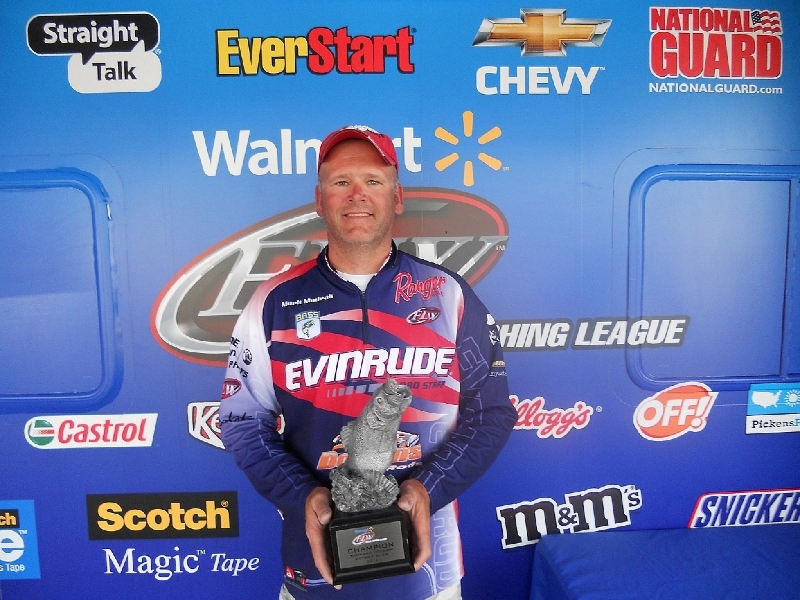 TRENTON, Mich. – Like a coach benching a frustrated player, only to have the refocused athlete return and nail the buzzer-beater, Mark Modrak gave himself a breather and came back to win the EverStart Series Central Division tournament on the Detroit River. Modrak, who hails from China Township, Mich., spent most of his day about midway up the St. Clair River. Linking Lake St. Clair to the larger, cooler Lake Huron, the river had produced well for him on days one and two with limits of 17-9 and 20-15. Today, however, he experienced some frustrations that threatened to derail his final-round efforts. Essentially, Modrak was dialed in on a good pattern, but the scenario’s dynamics created a high margin of error that temporarily got the better of him. Understandable, considering the investment of time, fuel and effort the 150-mile round trip required. A challenging technique, no doubt, but it’s one that Modrak has perfected over some 20 years of fishing the river. He said he typically expects to catch 90 percent of the fish that bite, but today saw a much lower hookup ratio rattling his confidence. That’s when he decided a change of scenery would help him purge the frustration and allow him to hit the reset button. 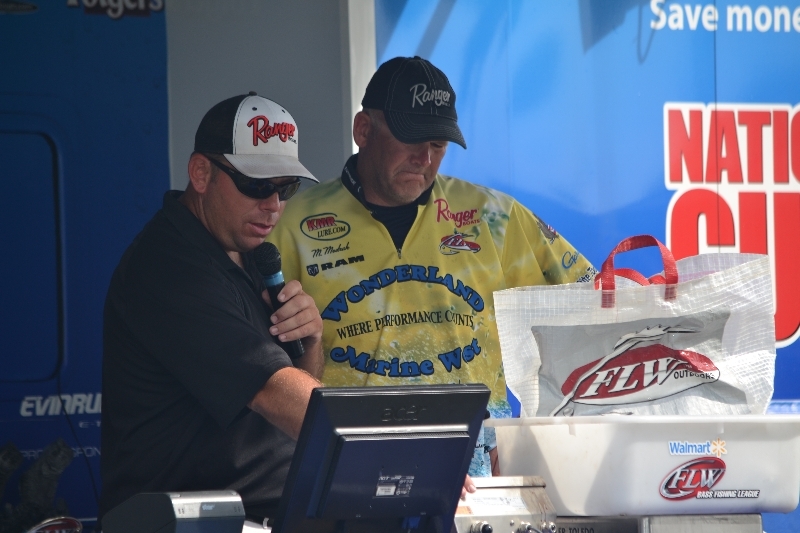 “I fished with (second-place co-angler) Mark Myers today – he’s a professor and I felt like Gilligan,” Modrak lamented. “I’d catch a 2-pounder and he’d catch another 3 to 3 1/2. I don’t know, maybe I was too worked up. 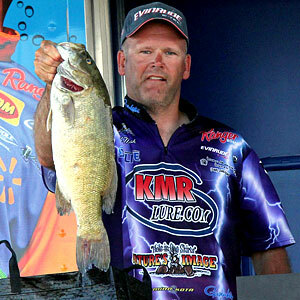 Modrak caught the final round’s heaviest sack – a limit of 20-7 that gave him a three-day total of 58-15 and a winning margin of just 3 ounces. 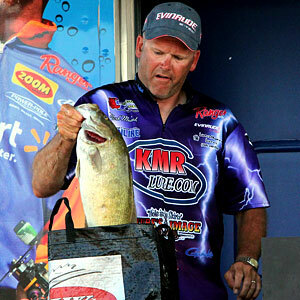 His final bag included a hefty smallmouth that clearly pushed him into the top spot. 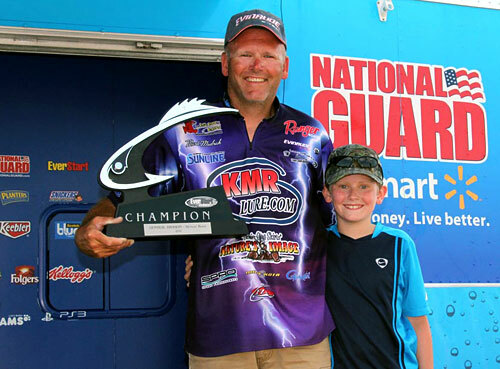 Throughout the tournament, Modrak started each day with a Strike King Series 5 crankbait and then alternated between a dropshot with Berkley 3-inch Fry and Lunch Money tubes in green pumpkin and smoke on ¼- to 5/16-ounce KMR leadheads. 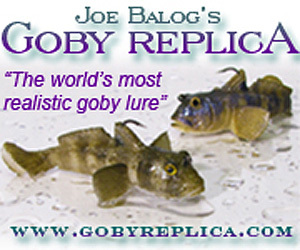 Mondak used two different jig styles – one had a thinner, elongated head and a 90-degree line tie that enabled the jig to scoot along the bottom like a fleeing baitfish. The other featured a more weight-forward design and a 60-degree line tie. 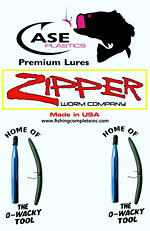 This style kept the bait’s head down and its tail up, so it mimicked a feeding crawfish or a small finfish. Modrak found most of his fish on a little gravel bar in the St. Clair River. Traversing the Detroit River and Lake St. Clair was no walk in the park, but fortune favors the bold – especially the well-equipped. “It’s a long run and that Detroit River is tough,” Modrak said. “The locals call it ‘The Miracle Mile,’ because when you get down there around the heart of Detroit, if you can make it through there without breaking anything, it’s a miracle.